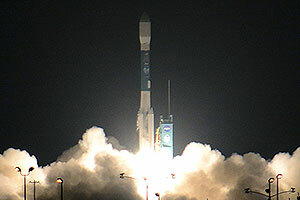 — The final launch of the venerable Delta II rocket has left the world a little less blue. That is not to say that the rocket's retirement has not been met with a tinge of sadness. 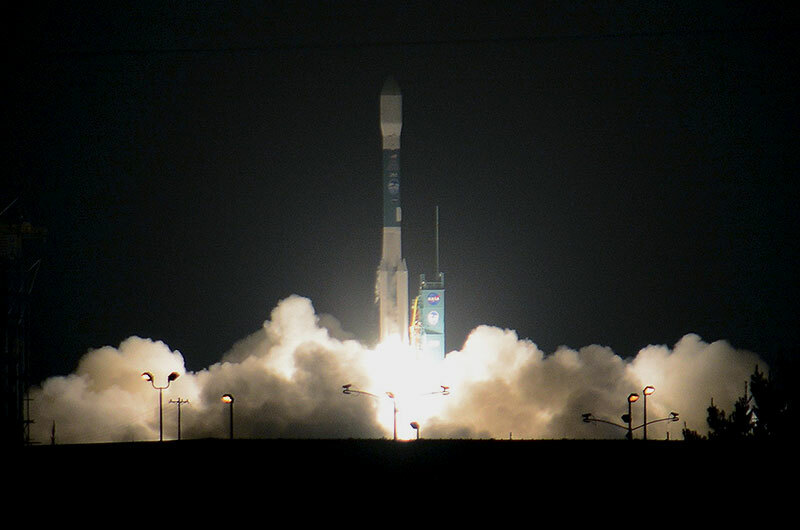 To the contrary, representatives from the U.S. Air Force, NASA and United Launch Alliance (ULA), the latter the company responsible for the vehicle, described the final Delta II launch on Saturday (Sep. 15) as "melancholy" and "bittersweet." No, it was not a matter of sentimentality. Rather, it is one of hue. 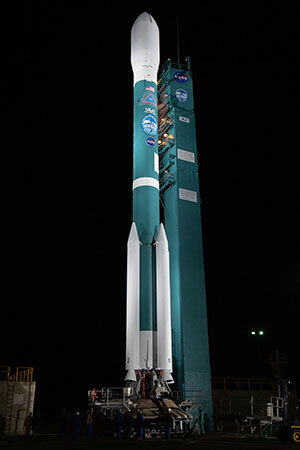 After 30 years of the Delta II being the United States' only blue-colored launch vehicle, the rocket's end means a future without "Delta Blue." "They wanted future vehicles to be the same color, but there was an issue getting that approved," said Kathy McLaughlin, ULA's Delta II site manager, who had been with the program since the first launch on Valentine's Day (Feb. 14) 1989. 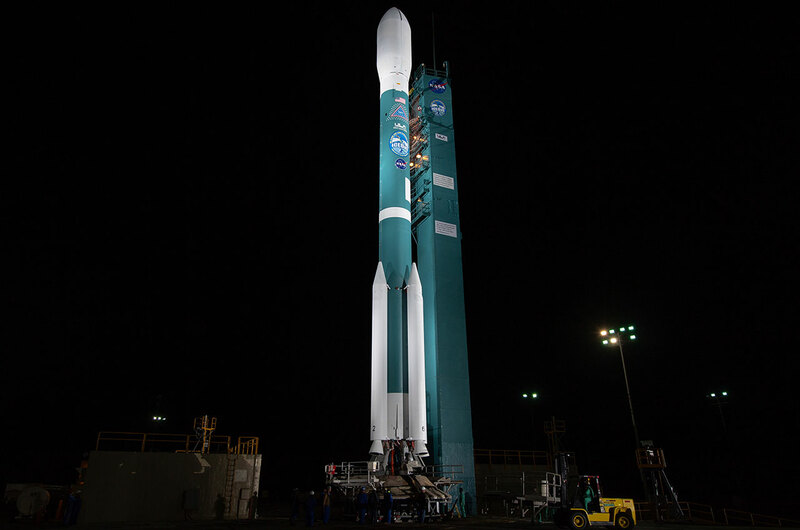 The final Delta II to fly lifted off with NASA's ICESat-2 satellite at 6:02 a.m. PDT (1402 GMT) on Saturday from Space Launch Complex-2 at Vandenberg Air Force Base in southern California. The predawn liftoff, coupled with a low cloud layer, meant the rocket left Earth for the last time out of view for many of the spectators watching. But it was still blue. "I think because it was identifiable, it became a 'this-is-my-rocket' kind of thing," McLaughlin told collectSPACE in an interview. It is not clear who coined the name or when they did so, but the origin of the Delta Blue color itself harkens back to a time well before Delta II, when its predecessor was painted white. 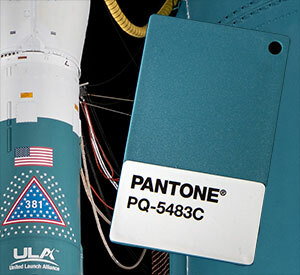 "The primer underneath the white paint happened to be this blueish, light blue color or 'Delta Blue' as a lot of people have called it," said Jay Witzling, who retired in 2003 as Boeing's vice president for Delta II but whose history with the vehicle extended back to 1974 and the launch of the 100th Delta rocket. "Delta was always fighting more for more performance and so the program elected to not put the white paint on." The move saved weight by omitting an unnecessary layer. 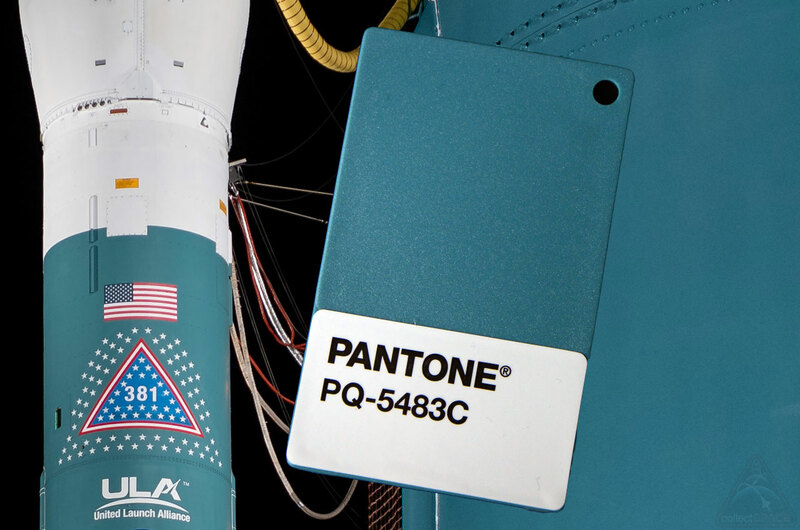 Though some areas on the Delta II remained white for thermal reasons, from then on, it was easier — and perhaps even grew to be preferred — to keep using the primer than to find another solution, or color. "There were some customers, commercial customers in particular, who wanted their own colors on the rocket. They wanted a black color or they wanted a yellow color," recalled Witzling. "But we always found a way to way around that because of 'technical issues.' We maintained the color, that's for sure." It took about 10 gallons of AkzoNobel's aerospace coating "Blue Fluid Resistant Primer" to cover a single Delta II. Between 1989 and 2018, 155 of the rockets flew. Outside the space program, "Delta Blue" is formally known as Federal Standard 25193. Considered a shade of cyan, it is comprised of 36.47 percent red, 55.69 percent green and 58.82 percent blue. Delta Blue has an approximate wavelength of 488.02 nanometers. Pantone, known for its color matching system, identifies "Delta Blue" as simply "5483-C."
If you wanted to paint your rocket — or your room — Delta Blue than you could look for Dutch Boy's "Midnight Run," Sherwin-Williams' "Mountain Stream" (no. 7162) or Valspar Paint's "Ocean Voyage." If you wanted to order your next car in Delta Blue, Chrysler's closest match is "Neptune Green," General Motors' offers "Adriatic Turquoise" and at Ford it is just "Medium Turquoise." To the McDonnell Douglas, Boeing and United Launch Alliance teams that worked on Delta II for three decades though, it was and continues to be "Delta Blue." "I think everybody called it 'Delta Blue,'" said McLaughlin. "They likened it to the turquoise waters that the solids [boosters] and the first stage actually eventually went to and became a reef."